Eighteen-year-old Micah Carter cannot remember what happened on the night his “soul mate” Janie’s house burned down. Though Micah is questioned by therapists, police officers, and his friend Dewey, his memory is disjointed, a problem exacerbated by frequent drinking. As he sifts through recollections of Janie, Micah realizes that despite their secret friendship and mutual desire, Janie, an artist obsessed with dream boyfriend Ander, is a stranger. 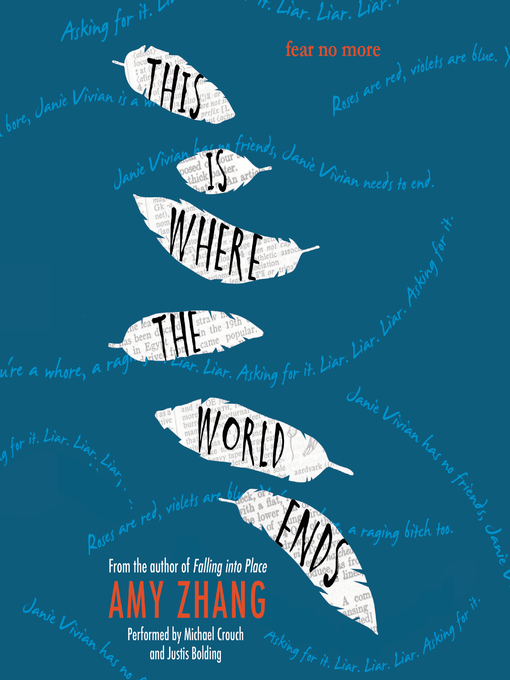 Zhang (Falling into Place) switches between Janie’s thoughts before the fire and Micah’s after, bridging the two with unsettling fractured fairy tales from Janie’s senior English project that highlight her change after being assaulted. While Zhang’s subject and tone recall books like Paper Towns and Thirteen Reasons Why, the symbolic aspects of the text (Janie’s fascinations with Virginia Woolf and metaphors, for example) turn repetitive and blunt the emotional underpinnings of the novel. The mystery of the fire propels readers forward, yet Micah’s final lesson learned—“Just be a better friend, you idiot”—comes across as glib, and his relationship with Dewey underdeveloped. Ages 14–up. Agent: Emily Keyes, Fuse Literary.